Our schools’ education programme works to bring the museum’s history collections alive so that school children throughout the South East region can be inspired to learn about and engage with Dorking’s fascinating story. Making the museum more accessible to all is important to us, so that everyone has equal opportunity to learn, enjoy and be inspired. Check out our new Rocks and Fossils Loan Box, designed to support the Upper and Lower Key Stage 2 Science Curriculum. Loan boxes are an effective and affordable way of bringing the museum into your classroom. Our loan boxes contain some or all of the following: historic Dorking photographs, real and replica objects, photos of; and information on the period objects, items of costume, maps, information sheets and suggested activities. They are designed to support teaching and learning of National Curriculum topics. Our loan boxes are an excellent means of supporting a range of Local History studies. Dorking’s Story Through Time – Local History Loan Box is packed with resources that are based on the Museum’s exhibitions and displays. Dorking’s Stories – World War One. To compliment and extend the information found in the loan boxes – please take a look at our Exhibition pages. The boxes can be borrowed for a period of a half term. It is the responsibility of the borrowing school / teacher to collect and return the loans box. School, youth and community group visits to the Museum – £1.00 per child with £15.00 minimum. Accompanying adults are free. 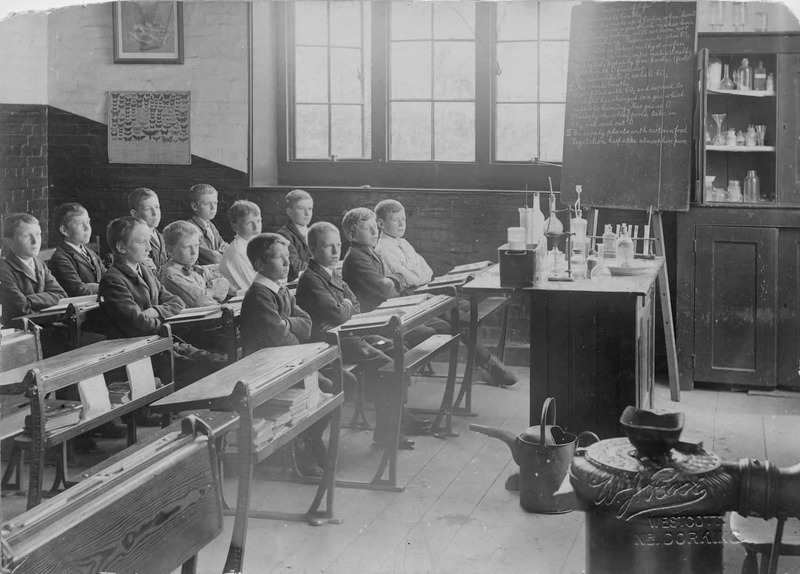 Additional teaching and learning resources may be available in our archives. Please contact the archivist. The personal information we collect from you is used solely for your booking. The data will not be shared with any third party, and will be held securely in accordance with current data protection legislation. For more information please read our Privacy Notice.